Kosher Info: You’re on your own here. No kosher restaurants in Greenville, South Carolina or in the vicinity to save you the trouble of making your own meal. Don’t fret. You will not go hungry. There are plenty of supermarkets that have the basic kosher foods: milk, cereal, tuna, coffee, pasta, frozen vegetables. There is even kosher pastrami at Costco, so its not the end of the world. I would recommend finding Publix and Wal-Mart in the vicinity. There are several around town. 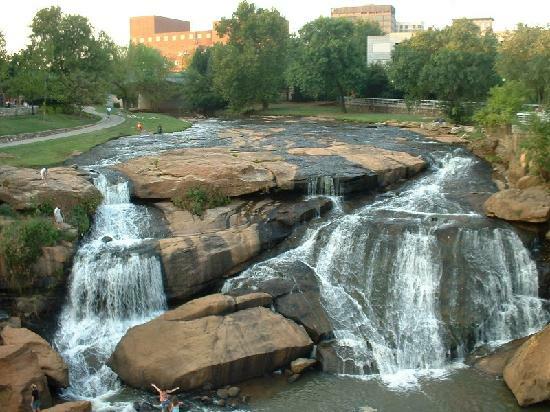 Travel Info: As far as visiting Greenville, it’s actually not a bad place. There is a very beautiful downtown park and waterfall. 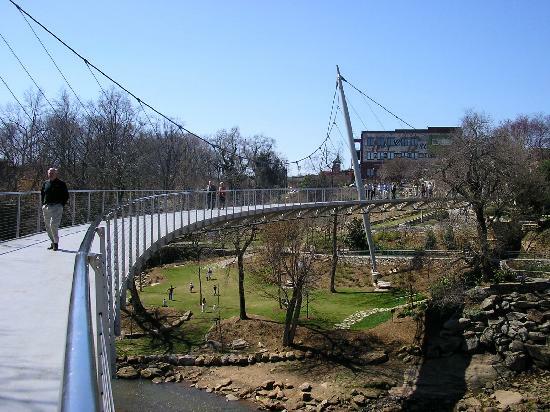 The town built a park that goes above the Reedy River, which is quite nice. There is also a minor league baseball team, and in the fall, a minor league hockey team will be in town. There is a zoo and a lot of parks for sports. Tennis, softball and the like. Jewish Info: There is a Chabad house in Greenville, but there is only a service one Shabbat a month. Only the Rabbi is orthodox and there are approximately 300-400 Jewish families, so a minyan during the week almost never takes place. They just started building the mikvah this summer (2010).